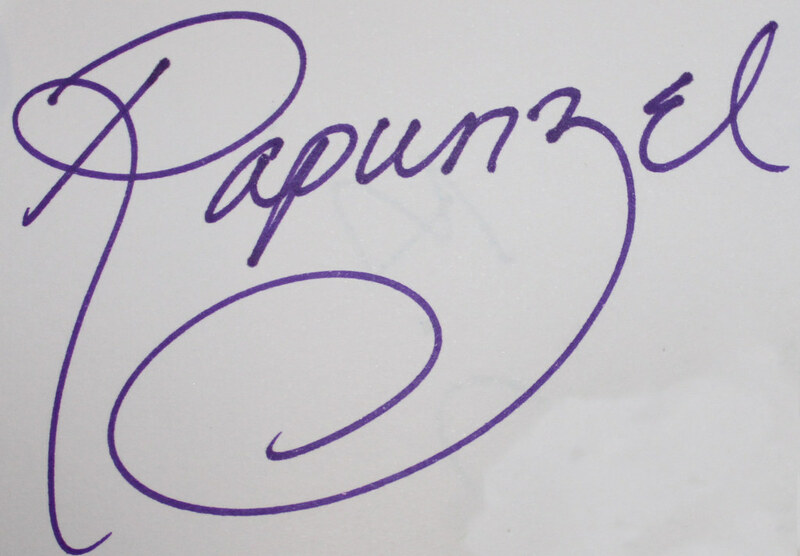 Rapunzel was born to a popular King and Queen in a distant far away kingdom full of enchantment. 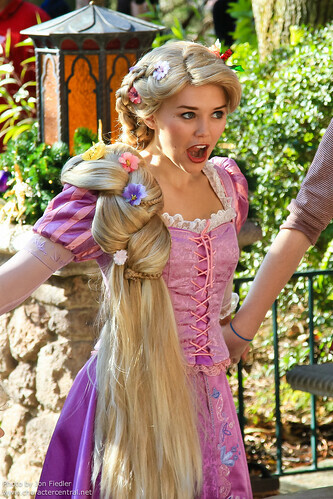 When she was born it was discovered that Rapunzel’s hair had magical healing powers. 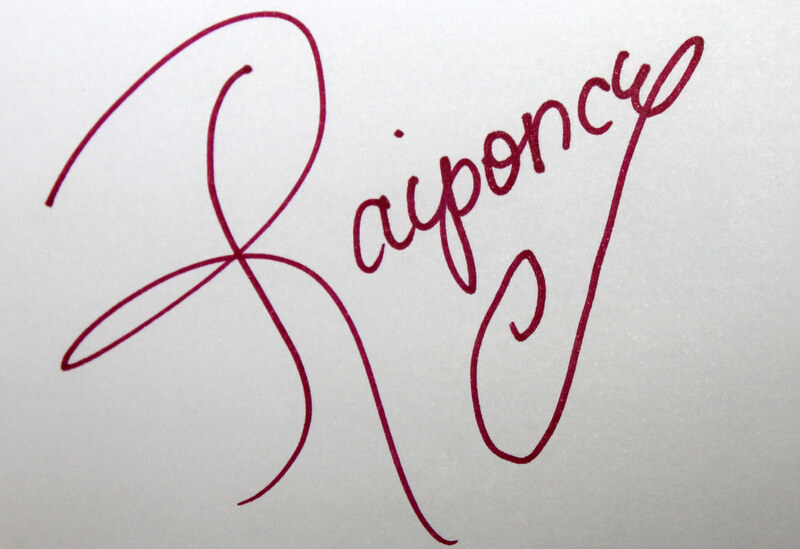 The wicked “Mother” Gothel kidnapped Rapunzel and raised her as her own. 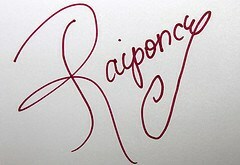 Locked in a tower for eighteen years, Rapunzel grew up believing that the outside world was a cruel and dangerous place. Though Mother Gothel did care for Rapunzel in the dutiful sense, she never really loved her as her own daughter. Ultimately Gothel’s goal was to stay young and beautiful forever – something she could only do with Rapunzel’s magical hair. 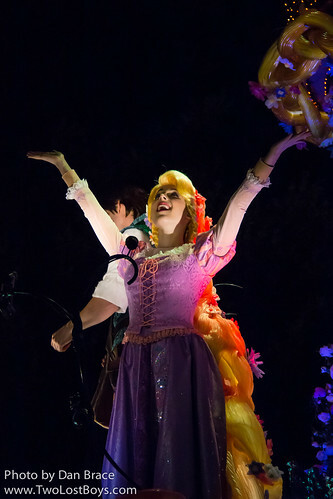 Rapunzel feels somehow connected to another place and once a year watched in awe as thousands of floating lights fill the sky. Her one true friend is a chameleon named Pascal. 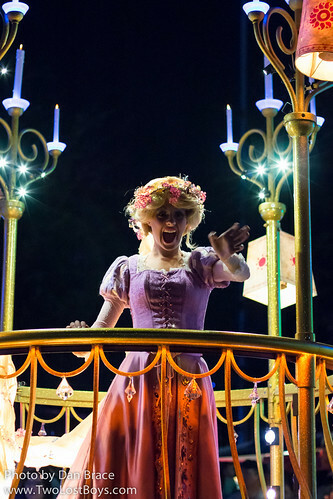 On her eighteenth birthday Rapunzel asks Gothel if she can finally go and see the lights, but is of course denied the opportunity. 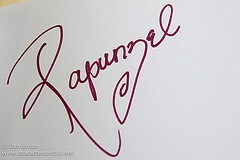 Quite by chance while Gothel is out, a dashing young man enters her home. 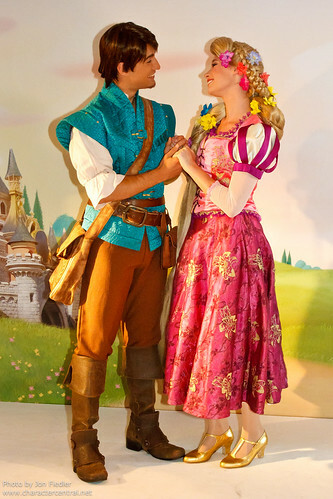 Afraid and worried, Rapunzel manages to apprehend the intruder, Flynn Rider. Bribing him by hiding the goods he himself has stolen, they make their way through the forest. 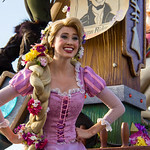 Their unlikely friendship blossoms and along the way Rapunzel finally discovers that her visions were true, and that she is the long lost princess. Flynn and Rapunzel’s worlds are blown apart though, and following a series of conflicts, Flynn lays dying in the arms of Rapunzel, right back where they started in her tower. 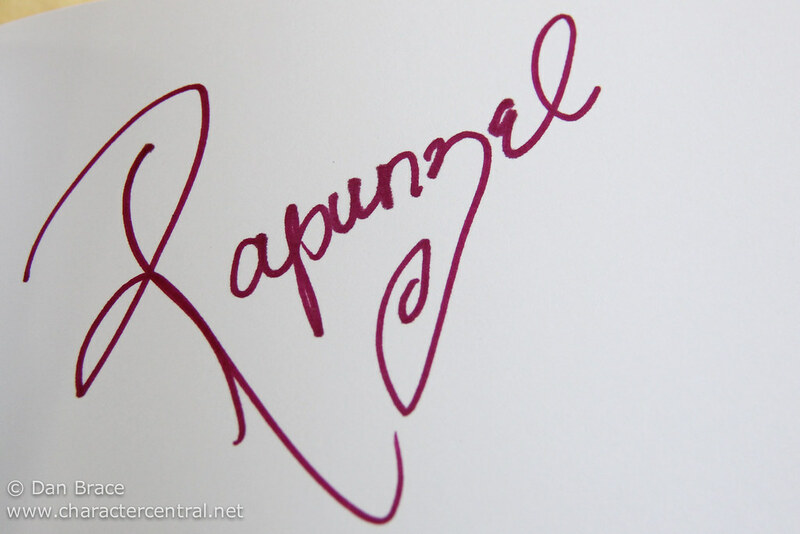 In his final act of strength, and to punish the evil Gothel, his cuts off Rapunzel’s hair. Gothel’s age catches up on her and she disintegrates. 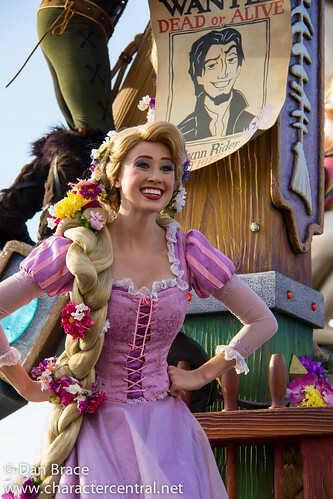 Rapunzel mourns the loss of Flynn, but makes a new discovery – her tears also have healing power. Flynn recovers and they set off for her real home in the kingdom. 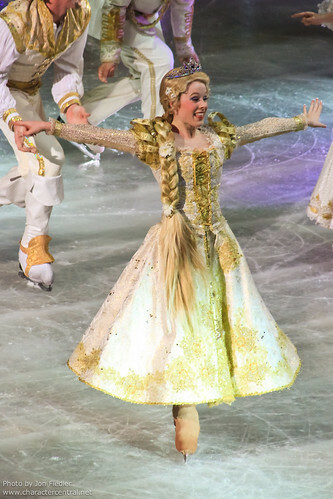 Reunited with her family and with Flynn and Pascal by her side, Rapunzel reclaims her birth right and finally lives the life she always dreamed of. 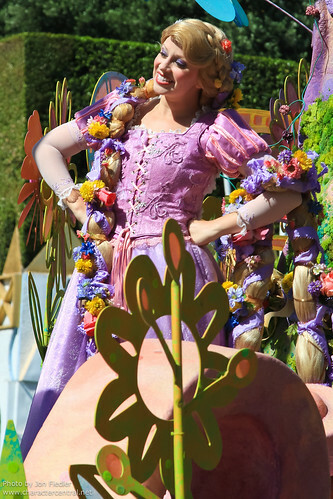 In WDW Rapunzel is always at Princess Fairytale Hall. 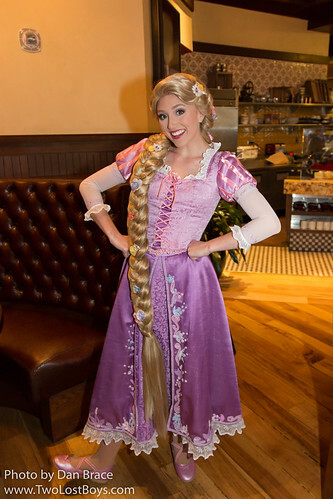 You can also meet her at the Bon Voyage Adventure Breakfast, at Trattoria al Forno on the Boardwalk. 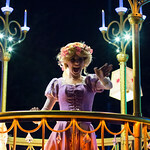 In Disneyland CA, she is sometimes inside the Princess greeting in Fantasyland. 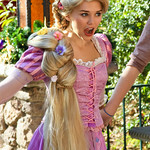 At Disneyland Paris, Rapunzel often appears at the Princess Pavilion in Fantasyland. 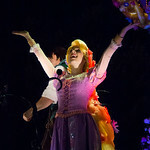 At Hong Kong Disneyland, Rapunzel used to appear in Fantasyland, but this is not as frequently anymore. 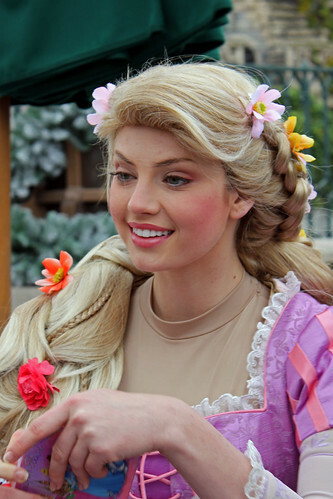 Rapunzel can often be found in Fantasyland in Tokyo Disneyland.